For women looking to find a coffee alternative, Lajoyce Waajid, founder of Nubian Hue Non Brew, has the perfect solution. She has developed a faux coffee using all natural ingredients including a variety of herbs and spices. With the mission to help women improve their health by reducing caffeine consumption, this mom of 3 has created a tasty beverage that will leave you satisfied. What inspired you to create Nubian Hue Non Brew? My inspiration came from necessity. I was addicted to coffee, going to Dunkin Donuts everyday. I needed to create something to get me off of coffee. Are there any other products out there like Nubian Hue Non Brew? If so, how does your beverage stand out from competition? 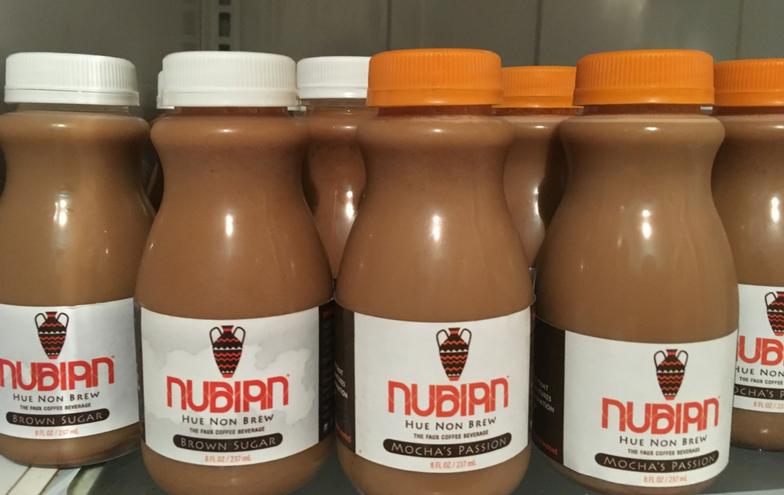 Nubian Hue Non Brew is the first faux coffee beverage that is ready to drink right now. We have been in business for a year. We are the only company of its kind. Grocery stores will have instant packages, but there are no vegan lattes on the market at all. What we have done is come up with 20 different flavors. We have bold coffee flavors and the lighter flavors. We just have a plethora of drinks to accommodate everybody’s taste buds. We are making sure that we stick with the plant based movement. Our key ingredient is chicory. We just took out the caffeine and the bad stuff. We don’t have any preservatives. All of the ingredients are totally organic. A lot of the herbs in the faux coffee will regulate you. Things like ginger and mint will soothe your stomach. We have a lot of herbs and spices in the beverages to help promote healthy digestion. Are you vegan? If so, what made you make that lifestyle change? I am 43 with 3 children. I grew up in a good old southern home. My parents are from Mississippi. Meat was a constant at every meal. You eat what your parents feed you. As I became a teen I started to have issues with my digestive system. I couldn’t figure it out. I decided to cut out all of the meat. I literally stopped eating pork and red meat. I started feeling better. By the time I was 21 I had completely cut out meat. My thought process was more keen than ever before. 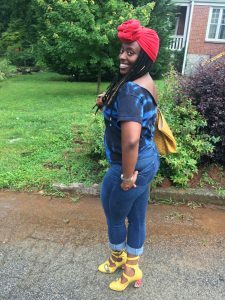 I saw improvements in my health and I passed the lifestyle down to my kids. How can people get the beverage? We are online. We have just partnered with Amazon. We are working on building that store. It should be up and running in 30 days. The consumer will get the beverages in 24 hours. Right now we are working on our winter warm collection. It will be our instant shake and go collection. Just add your own water and cream. We are working on our instant packages now. They won’t match all of the flavors that we have in our latte line. They are strictly for our warmer drinks. How did you come up with the name, Nubian Hue Non Brew? As I began to create the drink I would visit grocery stores and examine the packaging for other drinks. I didn’t want my drink to be for just black people. Nubian means black and hue represents many different hues of people. Non brew means you brew coffee, not this. I watched your video that appeared to have your son interviewing you. How involved is your family with this product? They are very very involved. My children help me a lot. My son and my oldest came up with the names of the flavors. My son came up with the name for our drink called Eden’s Garden. I literally listen to my children. Tell us about the different flavors and options for Nubian Hue Non Brew. Which is your favorite? One of my favorite flavors is the Tasty Two. Tasty Two is our turmeric latte. You drink it when you want to cleanse your internal house. We have to get to the point we are constantly doing maintenance and preventive things for our bodies. It is good for inflammation. I just really like spicy things. I also like our Spicy Brown. It’s a spicy coffee. We use valerian which is an herb that calms. Valerian helps me to stay off coffee. We have about 25 different flavors. They are all really very good. We have Pecan Posh. Most people who don’t drink coffee don’t eat. You can miss your meal and have the Pecan Posh for nutrients. What can we expect from Nubian Hue Non Brew in 2018? You can expect a faux coffee shop. We are actually working on some pastry ideas. We are working on perfecting our pastry line. You can expect more visibility. I’m soooo proud of this Queen, who happens to be my auntie! Love this. This young lady is so beautiful inside and out. She puts all her love in what she does… I encourage her to keep making things happen and continue to build her empire! !